It’s essential to keep your hard floors clean from grease and dirt especially in your kitchen around your cooking space as unwanted grease build up on the floor can become a slip hazard. 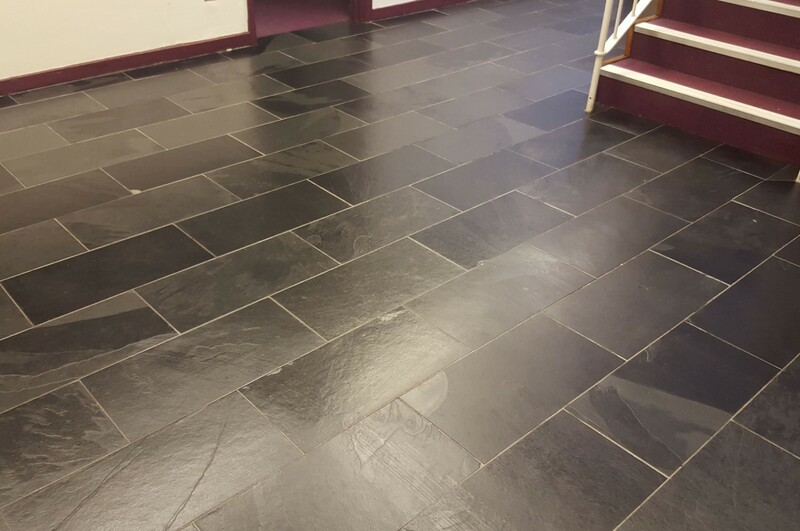 With our deep cleaning methods we can clean and restore your hard floors to their original look. With the equipment that we use we are able to pressure steam your hard floors whilst extracting soiling with minimum mess to give you the best possible clean you can get. We also offer hard floor sealing for that extra protection which you can have in either a gloss or matt finish. The reason grout becomes so dirty is because its porous, it also absorbs water which can lead to mould and limescale leaving the grout in your shower looking unsightly. Alongside hard floor floor cleaning we also offer an inexpensive restoration solution to kitchen and bathroom grout restoration. This is a compound that can be applied to the surface of the grout on a tiled wall. This process seals the pre-existing grout in over the top leaving a new/professional finish to the area.